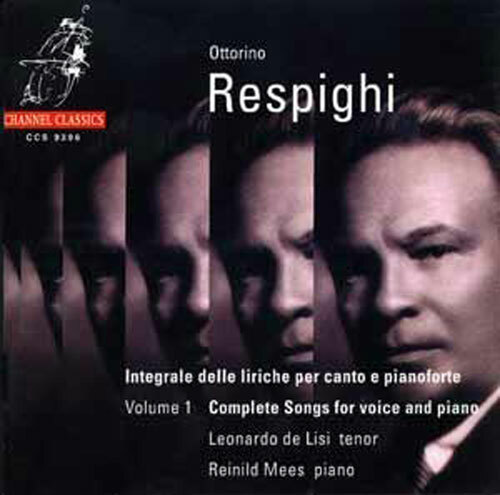 Although Ottorino Respighi (1879 - 1936) nowadays is best known as the composer of highly coloured orchestral pieces, as Fontane di Roma (Fountains of Rome), Pini di Roma (Pines of Rome), and Feste romane (Roman Festivals), he also wrote a large number of very beautiful songs. 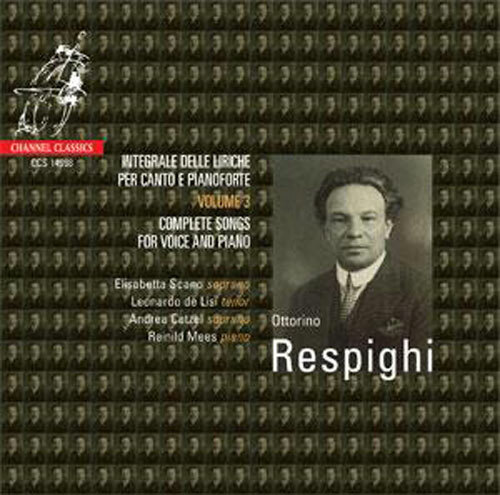 In his songs Respighi achieved a perfect form and an absolutely personal language. Strong melodies are accompanied by transparent, refined piano parts and structured in a harmonical pattern of modulations following the changes of mood in the poetry. In the celebrated song Nebbie, for example, he expressed threatening loneliness in a very dramatic way by the monotonous rhythm of accented, ‘naked’ chords. His interest in old Italian composers as Claudio Monteverdi is to be heard in the charming Cinque Canti all’antica for voice and piano, settings of 14th-century verses by Giovanni Boccaccio . 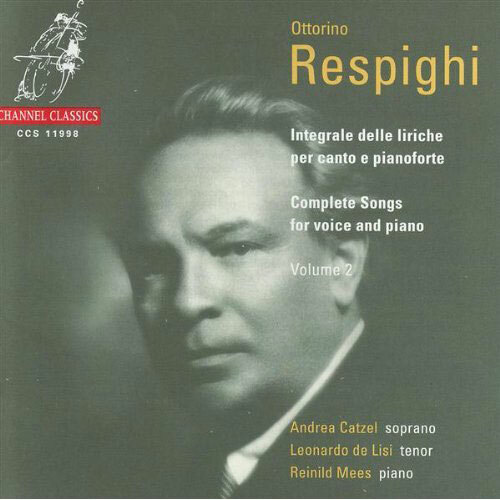 Humour and a ‘popular’ sense finally inspired Respighi occasionally to write Italian, Tuscanian, Sardian, Armenian, French and Scottish folksongs.